FREE Taste Of Home Magazine Subscription! You are here: Home / FREEbies / FREE Taste Of Home Magazine Subscription! 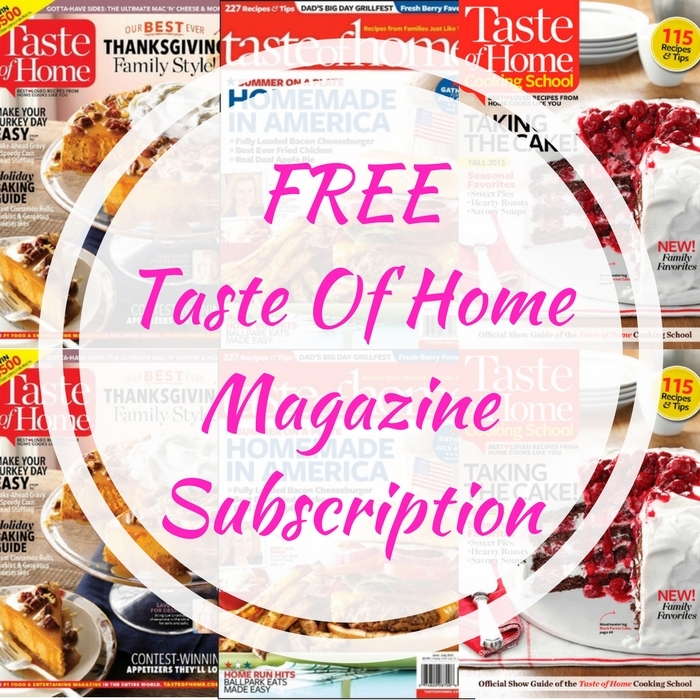 Click here to score a FREE Taste Of Home Magazine Subscription! All you need to do is fill out the short form and your first magazine will arrive in 4-12 weeks. No credit card information is required! Make sure to select “No Thanks” to any of the offers presented to you. This won’t last long so you better hurry if you’re interested!